NEW YORK—From quilts of color to bold-hued abstracts, using thousands of pencils and hundreds of found pieces of Ikea furniture, at recent New York art shows artists embraced color with abandon. Above, “Lack,” by Brent Birnbaum presented by A.M.F. 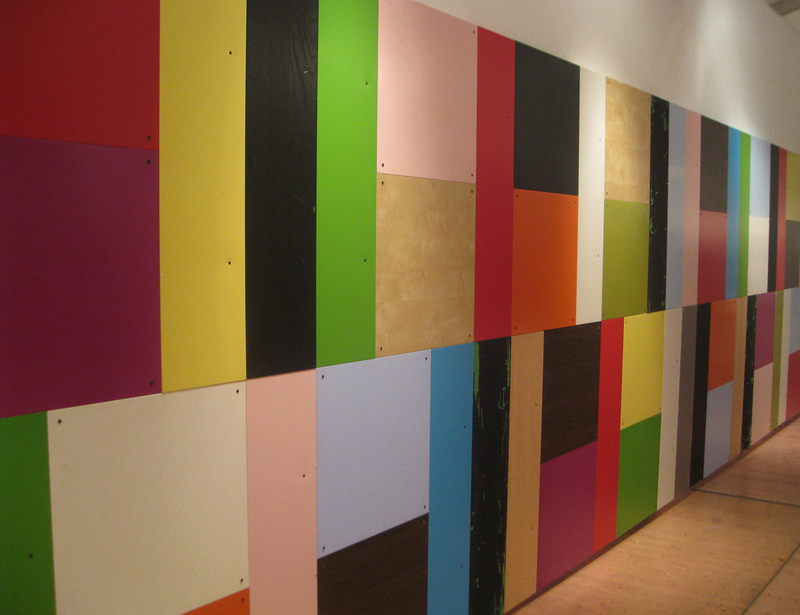 Projects, a site-specific installation composed of used Ikea shelves found discarded or discovered on Craigslist. 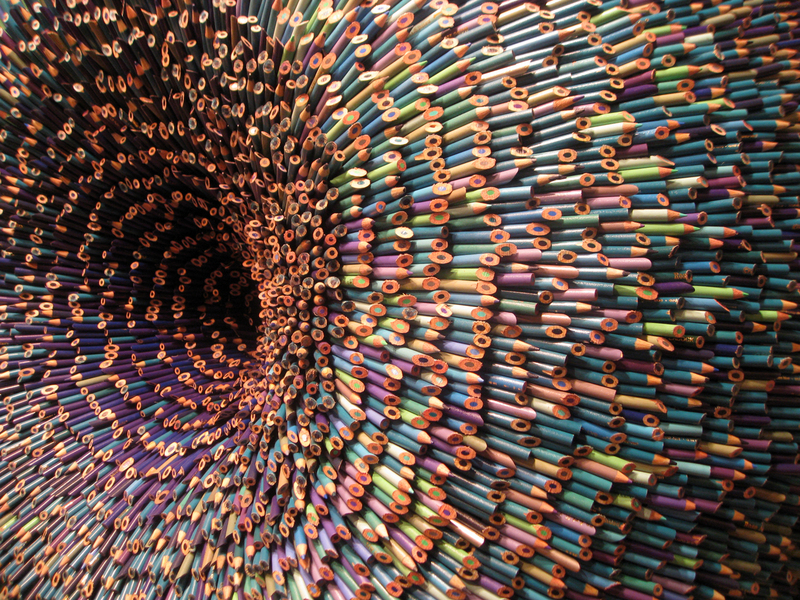 Top of page, Pencil sculpture by Frederico Uribe at Now Contemporary Art at the Scope NY show. 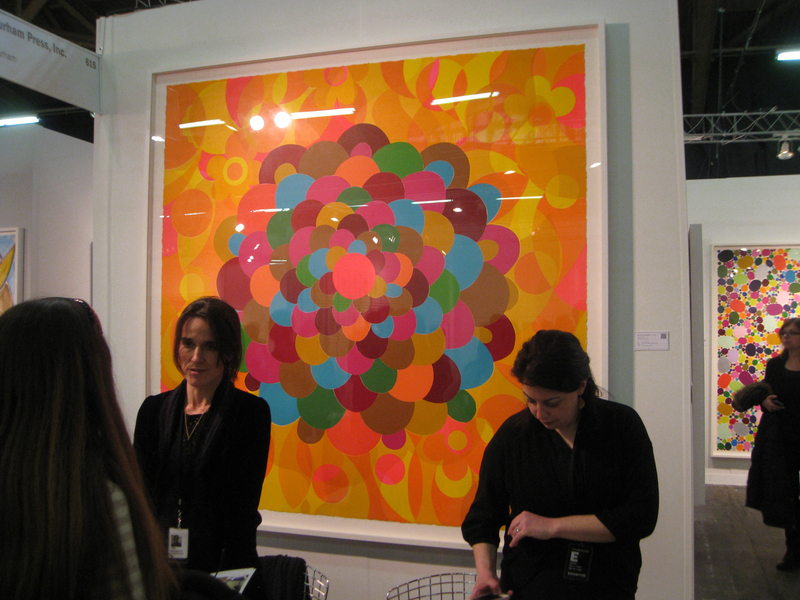 “Jamaica,” 2007 (woodblock and screen print) by Beatriz Milhazes at Durham Press at the Armory Show. 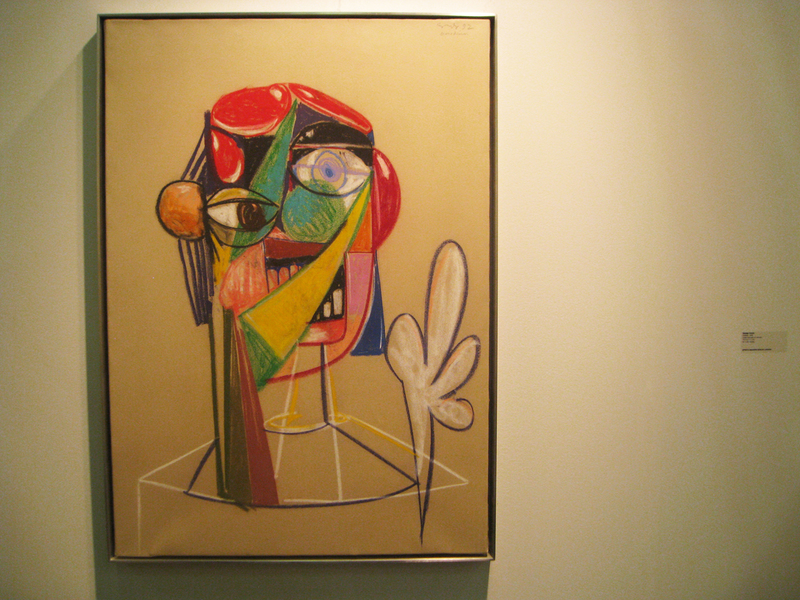 “Untitled,” 1992 (chalk and pen on canvas) by George Condo at Spruth Magers gallery at Armory Show. 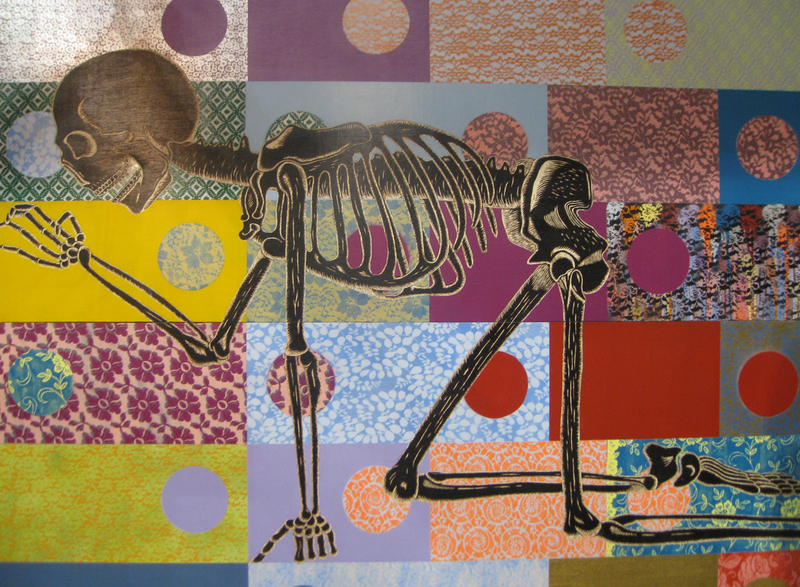 Skeleton mural by Hellbent at the Fountain Art Fair. 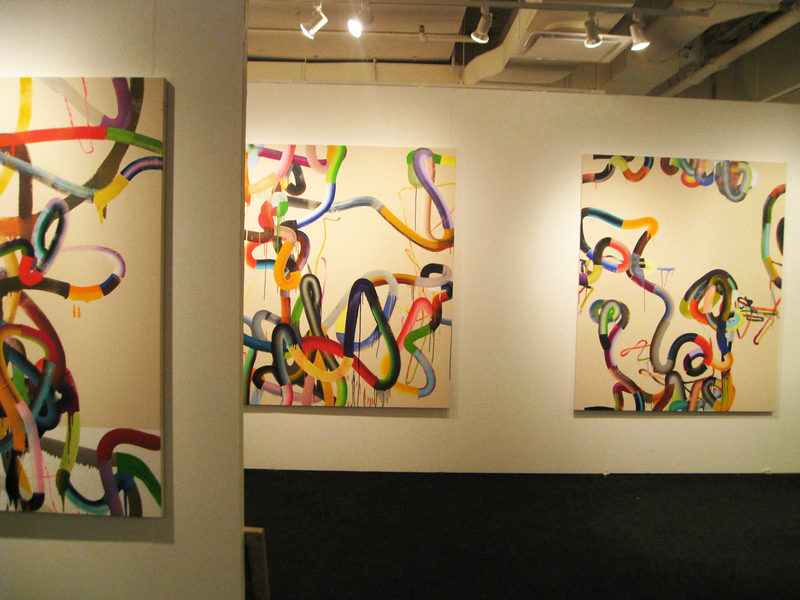 Canvases by Jeff Perrott Lamontagne gallery at Volta NY.